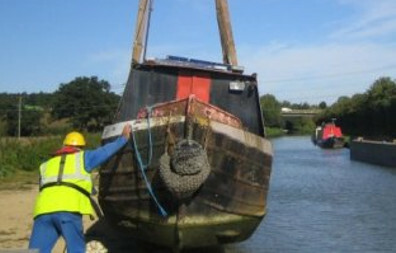 THE Canal & River Trust today tells us that boat licence evasion on its waterways is at an all time low. “This is a fantastic achievement for our boat licensing customer support team. They are out every day helping boaters with their licence requirements and trying to find ways to work things out when a boater might run into problems. When boaters talk to us about difficulties they may be having, we are nearly always able to come up with a solution to keep them licenced. “It’s important that boats are licenced correctly. Not only does this mean they’re insured and hold a boat safety certificate, but it means they’re playing their part in contributing to the huge task of keeping our canals and rivers open. The income from boat licensing is crucial—in 2017/18 leisure licences contributed £20.2m, around 10% of total income—and it’s important that it’s shared fairly by everyone who keeps a boat on our waterways. The national boat count also paints a picture of the changing numbers of boats across the country. The Trust’s waterways in London have seen growth slowing: up 2.4%, compared to growth of over 9% in 2016/17. The North also saw an increase of 2.3%, while other areas remained static.